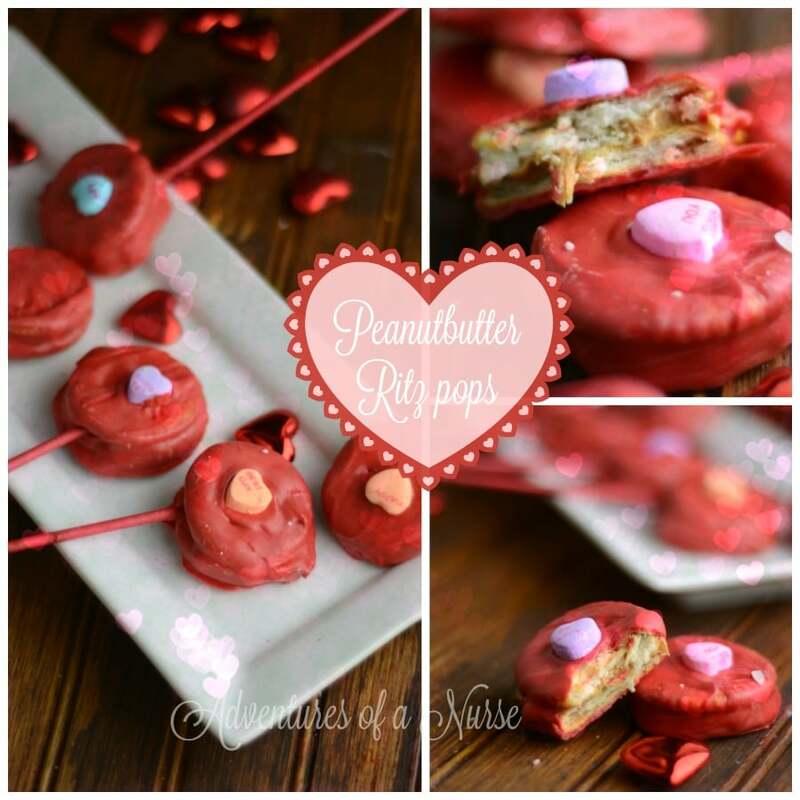 This is one of the easiest and most delicious kids snacks for Valentines day. 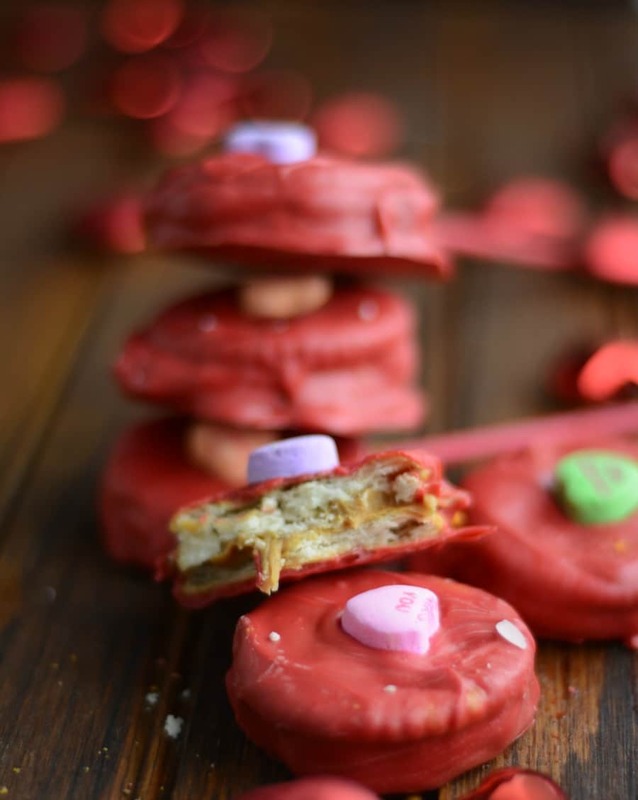 Directions: Melt chocolate according to package stir in 2-3 red food coloring. Generously spread peanut butter between each ritz. Dip each cracker sandwich in white chocolate. Optional place a pop stick in each sandwich. Let sit for 20 minutes or until chocolate is hard.